Leavine Family Racing will join forces with Circle Sport Racing to run the full 36-race schedule in the 2016 NASCAR Sprint Cup Series. The team announced during a lunch program at the Chevy Thursday Charlotte Motor Speedway Media Tour that they will be entering in alliance with Richard Childress Racing and will now run the Chevrolet SS racecar powered by ECR engines this season. 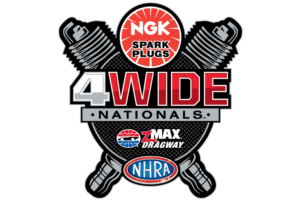 "The manufacturer and alliance switch provides our team with the best opportunity to improve on-track performance and to create long-term sustainability," said team owner Bob Leavine. "We've finally found a great fit that's going to help us continue to grow both on the track and as an organization." Michael McDowell and Ty Dillon will split time behind the wheel of the No. 95 machine. McDowell is set to race 26 races of the season while Dillon pilots the team's entry for the remaining Sprint Cup races. McDowell and Dillon are positive that the new low-downforce package will give single-car teams the opportunity to compete at a higher level. "This is a big step for our competition program," said McDowell. "The technical alliance with Richard Childress Racing is a huge asset to our growing team and we'll have access to some of the top equipment in the Sprint Cup Series." Circle Sport-Leavine Family Racing will kick off their first full season in the NASCAR Sprint Cup Series with Daytona Speedweeks in February. 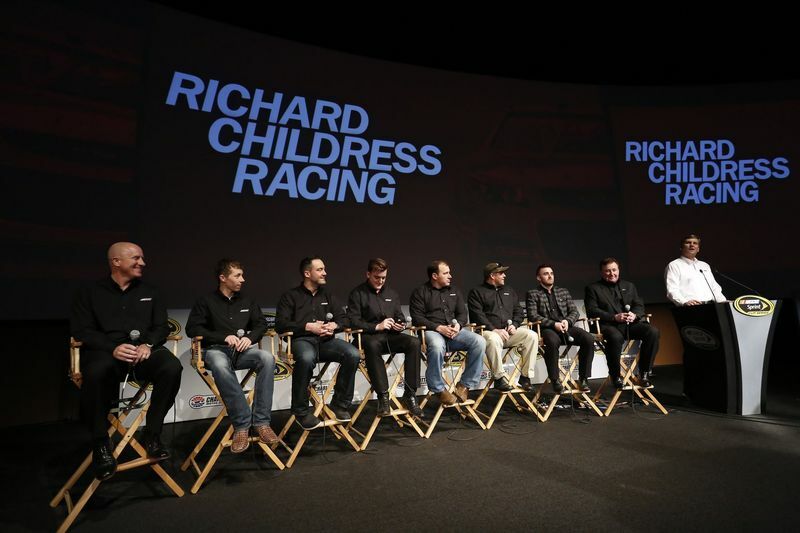 Chevy Thursday at the Charlotte Motor Speedway Media Tour presented by Technocom featured a bevy of teams, including Richard Childress Racing, which is coming off a very successful 2015 season. Two of RCR's three Sprint Cup Series drivers (Ryan Newman and Paul Menard) made the NASCAR Chase for the Sprint Cup, while Ty Dillon finish third in the XFINITY Series standings. But don't expect RCR to be satisfied with anything but a championship in either division this season. "The goals are higher this year. We expect to make the Chase, now we have to get up there and win a championship," said team owner Richard Childress. "I know how hard this group has worked. I spent a lot of time in the offseason around the shop, more than ever, and our focus is there in every department." Chevy Thursday provided RCR an opportunity to make a series of sponsorship announcements, too. Rheem will return as a primary sponsor for RCR's No. 2 team with Austin Dillon, while enhancing its program as the primary sponsor for select races on the No. 3 piloted by Ty Dillon for select races. Also joining the RCR family is Nexteer Automotive, which will serve as a primary partner on the No. 33 driven by Rookie of the Year contender Brandon Jones in the XFINITY Series for select races. Richard Childress Racing also announced a technical alliance with Circle Sport - Leavine Family Racing that includes technology sharing, engineering, research and development provided to Circle Sport - Leavine Family Racing as they switch their No. 95 Sprint Cup Series cars to Chevrolet. Chip Ganassi Racing with Felix Sabates kicked off Chevy Thursday at the 2016 Charlotte Motor Speedway Media Tour presented by Technocom. Ganassi has been a figure in the auto racing industry for over 25 years and is considered one of the most successful team owners in the sport. CGR is excited about the upcoming Rolex 24, and will look to defend their 2015 title. Last season brought Ganassi his sixth win, setting a record for the North American endurance race. With the win, Jamie McMurray became just the third driver ever to win both the Rolex 24 and the Daytona 500. Kyle Larson, driver of the No. 42 Target Chevy SS, gained a new crew chief for the 2016 season. Larson's crew chief is Chad Johnston, former crew chief of Tony Stewart with Stewart-Haas Racing. The No. 42 has a renewed confidence for 2016 after improvements to his qualifying positon and the number of laps led last season. Also in 2016, the No. 42 Target Chevy SS, the No. 1 Cessna Chevy SS and the No 1 McDonalds Chevy SS will get new paint schemes. The XFINITY Series race on July 8 at Kentucky Speedway will now be called the Alsco 300. The multi-year entitlement sponsorship was announced during Chevy Thursday. Alsco, a family-run business, is a worldwide leader in the rental of linen, uniforms, healthcare garments and washroom products. "This is one of the most important sponsorship deals we've ever done at Kentucky Speedway," said Mark Simendinger, the speedway's general manager. "This deal says a lot about where we want to go and where Kentucky is right now. This is a huge win for us and we couldn't be more proud to be associated with them."